A Korean-American lawyer whose firm was acquired by Greenspoon Marder alleges that he was ousted from his partnership there because of discrimination by a group of partners who worked with him at both firms. 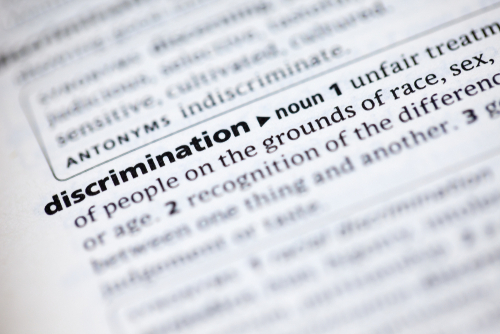 Lawyer Jun Chul Whang filed a Jan. 25 lawsuit in Manhattan federal court alleging racial and national origin discrimination by Greenspoon Marder, report the American Lawyer and Bloomberg Law. His last day with Greenspoon Marder was May 31, 2018. He was given only 10 days’ notice before his ouster, the suit says. Whang was told the decision to oust him was a cost-cutting move, despite Whang’s business-generating activities and value to Greenspoon Marder, the suit says. His practice group’s largest client was planning to increase its legal spend, according to Whang. Whang alleges that the discrimination began when he worked at Jacob, Medinger & Finnegan handling product liability defense work. According to Whang, the law firm put him on a longer partnership track and removed him as possible lead attorney in a case based on the discriminatory request of local counsel. Whang says he matched or exceeded his peers in billable hours at Jacob Medinger and helped grow the firm, but it took him “a dozen years” to become a nonequity partner and “more than a decade” to become an equity partner. Nonequity partners at the firm were usually promoted to equity partners after five years of partnership, according to the suit. When he was finally promoted to equity partnership, the move was intended to help defray Jacob Medinger’s liability rather than to allow Whang to share in the profits, the suit says. When Jacob Medinger was acquired by Greenspoon Marder in April 2016, the four white equity partners in his practice group received a return on equity, but Whang did not, the suit says. Whang’s lawyer, Veronica Jung, didn’t comment on the case when contacted by the American Lawyer. But she said she has seen an increase in similar claims by Asian-Pacific attorneys in the past year. Most of the cases are resolved before a lawsuit is filed, she said. Greenspoon Marder did not immediately respond to a request for comment by the ABA Journal.